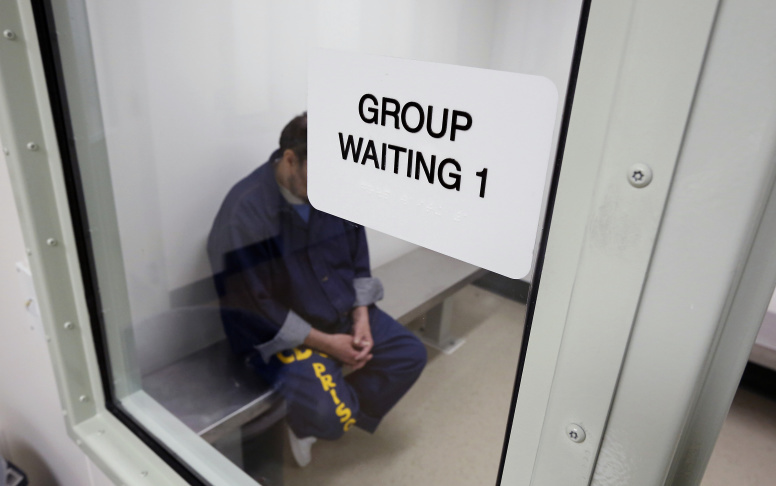 California has a long, fraught history when it comes to caring for mentally ill inmates. Currently, almost one in three inmates in the state prisons are considered mentally ill. The latest twist came on Nov. 13, when U.S. District Judge Kimberly Mueller ordered an independent investigation into allegations contained in a scathing report written by the state prison system's chief psychiatrist. Dr. Michael Golding's 161-page report accuses the California Department of Corrections and Rehabilitation of providing below-par psychiatric care to prison inmates and, perhaps more significantly, providing misleading reports to Mueller about that care. Less than 50 percent of inmates are seen on time. Patients are not being seen in confidential spaces. Some inmates don't get appointments at all because they are transferred to new prisons and then their wait time starts all over. Some patients transferred more than once "might not have another psychiatry appointment for eight months." Golding also claimed in the report that "appropriate consultation is not occuring, and worse, appropriate medical decision making by psychiatric physicians have been overridden." Mueller said the investigator will explore "whether [Department of Corrections staff] have committed fraud on the court or intentionally misled the court or the Special Master" regarding Golding's claims. The judge has not yet named the investigator. Mueller's order last month to release Golding's previously sealed report may deal a blow to the state's efforts to end more than two decades of federal oversight of psychiatric care in California's prisons. Some of the incidents Golding describes are stomach-turning. At a women's prison in Chino in San Bernardino County, a psychotic inmate screamed about every 15 minutes over a four-hour period. Staff did not contact a psychiatrist or give the inmate any emergency medication, according to Golding's account. During that time, the inmate pulled out her eye. When correctional officers entered the cell, she put the eye in her mouth and swallowed it. Nearly 60 percent of the state prisoners come from Southern California counties. In fact, 33 percent of inmates are from Los Angeles County alone. "The department strongly disagrees with [Golding's] allegations, and looks forward to a fair and thorough review and hearing of all the facts, Department of Corrections spokeswoman Vicky Waters said in a statement. "We worked closely with lawyers representing prisoners, as well as the court appointment monitors, for many years to improve the mental health of inmates, and our dedicated and well-trained staff will continue to provide appropriate care and treatment," added Waters. The issues being raised by Golding are tied to a 1990 class action lawsuit, now known as Coleman v. Brown. That suit alleged the state prison system was not caring appropriately for mentally ill inmates. The judge appointed a Special Master to monitor the state's efforts. It looked like the state was close to ending that supervision earlier this year, said Michael Bien, the attorney who sued on behalf of the mentally ill inmates. Then Golding turned in his report to Mueller and word began to circulate that it was highly negative, ultimately leading to Mueller's decison to unseal the document. Plaintiffs' attorney Bien told KPCC/LAist, "We depended on the defendant's honor system. Now we have to go back and build trust and make sure the [state's] data is accurate." Nov. 14: This article was updated with information about the judge's order for an independent investigation. 4:50 p.m.: This article was updated with information from Monday's hearing.